Factory orders rose for only the second time in eleven months, in line with the Consensus Estimate. This was a decent but not spectacular report and only the second in nearly a year. A chart of new orders and shipments provides a good perspective. Here are a few more charts from Fred, all showing notable weakness on a year-over-year basis. 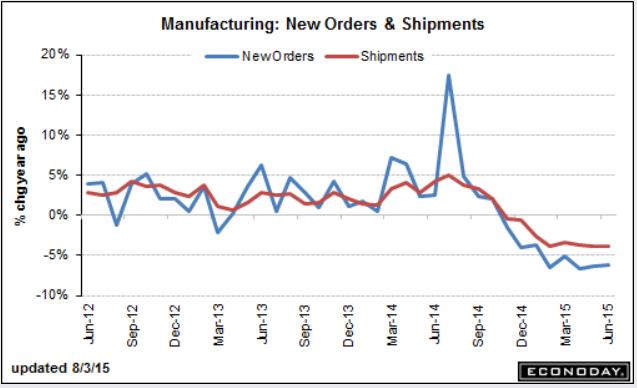 Year-over-year new orders were down once again, in many ways.